Dr. Bauman is a behavioral neuroscientist whose research focuses on prenatal risk factors for neurodevelopmental disorders. She is particularly interested in the influence of the maternal-fetal immune environment on neural development. 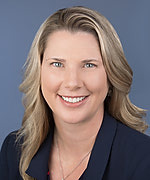 She also has a strong commitment to advancing women's careers in science and medicine and serves as the director of the UC Davis Health Women in Medicine and Health Sciences (WIMHS) program. To view a detailed list of Dr. Bauman's publications, please click here.